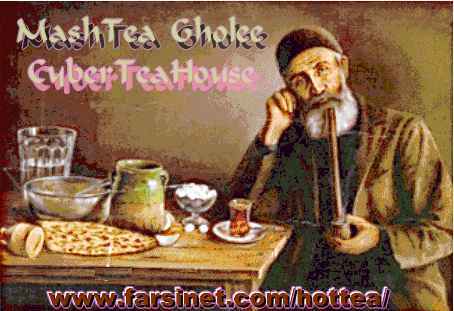 A CyberTeaHouse © dedicated to Tea! ... Hot Tea that is. January is the National Hot Tea Month? Tea is an aromatic stimulant, containing various polyphenols, essential oils, and caffeine. The beverage is of the same genus as the important horticultural plant, Camellia, an evergreen prized for its particularly beautiful flowers. The tea plant itself is Camellia sinensis, a native of Southeast Asia. The tea brewed from the dried leaves of this plant has been drunk in China probably for thousands of years and certainly since the 10th century BC, from which time written records of its use survive. After the introduction of tea in 1657, Britain became the only European country of tea drinkers rather than coffee drinkers. In recent years, however, coffee has gained in popularity, challenging tea's status. Tea was introduced into North America by early settlers but was heavily taxed by the British, eventually resulting in the well-known Boston Tea Party of 1773. Tea is drunk by about half of the world's population. China, India, Indonesia, Sri Lanka, and Japan are the main producers. Leaf buds and young leaves (the 'tips') are used in making tea, the age of the leaves determining the taste and name of the particular commercial variety. Orange pekoe is made from the youngest leaves and souchong from the fourth leaves. After picking, the leaves either are dried immediately and completely to produce green teas, such as gunpowder, or are partially dried and then allowed to ferment to produce various kinds of black teas, such as orange pekoe and souchong. Oolong tea is partially fired and then steamed, thus being intermediate between green and black teas. After being sorted on the basis of size, all grades of tea are packed in foil-lined chests to prevent the absorption of odors or the loss of aroma during shipment. Tea is sometimes allowed to absorb the scent from various flowers; jasmine and mango are particular favourites. Do you consider your daily teatime to be simply a nutrient-neutral habit? Not so. Research shows that drinking black tea may help prevent blood clots from forming. In one study, people who drank several cups of black tea each day had lower levels of a substance associated with blood coagulation. Blood clots can block blood flow and lead to heart attack. Compounds in green and black teas have a healthful impact on several markers of heart disease risk, but debate continues as to which kind of tea is healthiest. Recent research suggests it may be a dead heat. In a study, green and black tea appeared equally protective against fatty arterial plaque buildup. Tea is grown in about 30 countries but is consumed worldwide, although at greatly varying levels. It is the most widely consumed beverage aside from water with a per capita worldwide consumption of approximately 0.12 liter per year. Tea is manufactured in three basic forms. Green tea is prepared in such a way as to preclude the oxidation of green leaf polyphenols. During black tea production oxidation is promoted so that most of these substances are oxidized. Oolong tea is a partially oxidized product. Of the approximately 2.5 million metric tons of dried tea manufactured, only 20% is green tea and less than 2% is oolong tea. Green tea is consumed primarily in China, Japan, and a few countries in North Africa and the Middle East. Fresh tea leaf is unusually rich in the flavanol group of polyphenols known as catechins which may constitute up to 30% of the dry leaf weight. Other polyphenols include flavanols and their glycosides, and depsides such as chlorogenic acid, coumarylquinic acid, and one unique to tea, theogallin (3-galloylquinic acid). Caffeine is present at an average level of 3% along with very small amounts of the other common methylxanthines, theobromine and theophylline. The amino acid theanine (5-N-ethylglutamine) is also unique to tea. Tea accumulates aluminum and manganese. In addition to the normal complement of plant cell enzymes, tea leaf contains an active polyphenol oxidase which catalyzes the aerobic oxidation of the catechins when the leaf cell structure is disrupted during black tea manufacture. The various quinones produced by the enzymatic oxidations undergo condensation reactions which result in a series of compounds, including bisflavanols, theaflavins, epitheaflavic acids, and thearubigens, which impart the characteristic taste and color properties of black tea. Most of these compounds readily form complexes with caffeine. There is no tannic acid in tea. Thearubigens constitute the largest mass of the extractable matter in black tea but their composition is not well known. Proanthocyanidins make up part of the complex. Tea peroxidase may be involved in their generation. The catechin quinones also initiate the formation of many of the hundreds of volatile compounds found in the black tea aroma fraction. Green tea composition is very similar to that of the fresh leaf except for a few enzymatically catalyzed changes which occur extremely rapidly following plucking. New volatile substances are produced during the drying stage. Oolong tea is intermediate in composition between green and black teas. Your Opinion counts. Check this sites Public Opinion.